so as you can see it was some gluing and cutting that brought these together. 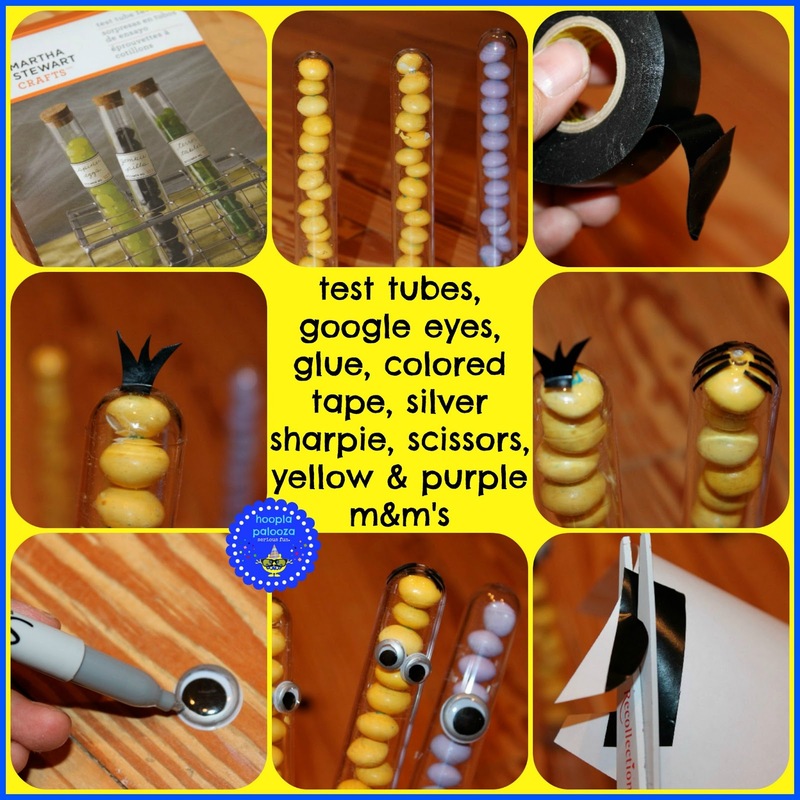 the test tubes totally reminded me of long minions and if you plan on a minion party soon, i think the kids would like these. oh look! 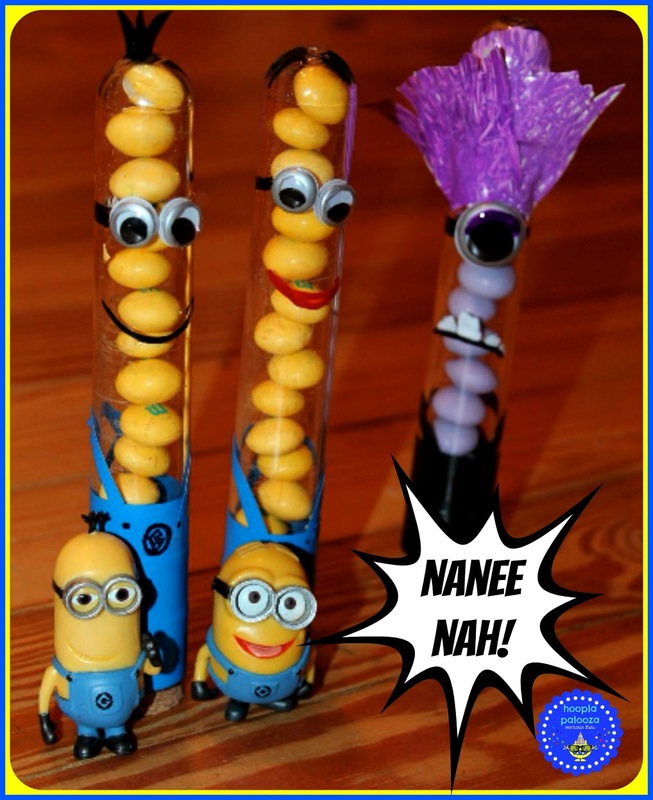 here are some"real" minions now! let's ask them what they think of it. i am sooooo evilly good looking i cannot even stand myself! i will have ultimate power due to my good looks! and that hair! can you even stand it?!?! i'm glad you like them guys. now how's 'bout a nice group hug? 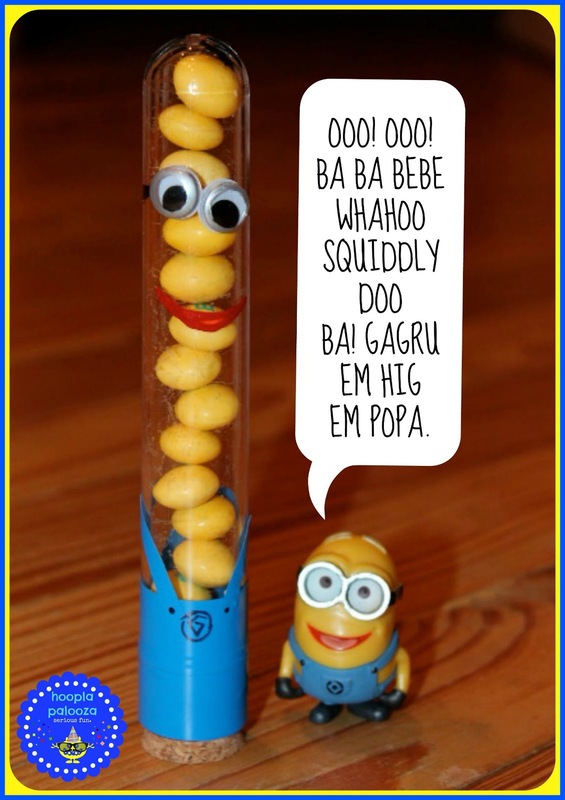 is it wrong to love minions when you are in your 40's? cuz i do and am not afraid to admit it. they are so dag gone silly they crack me up! heehee thanks again and again Kim! thank you Sue! 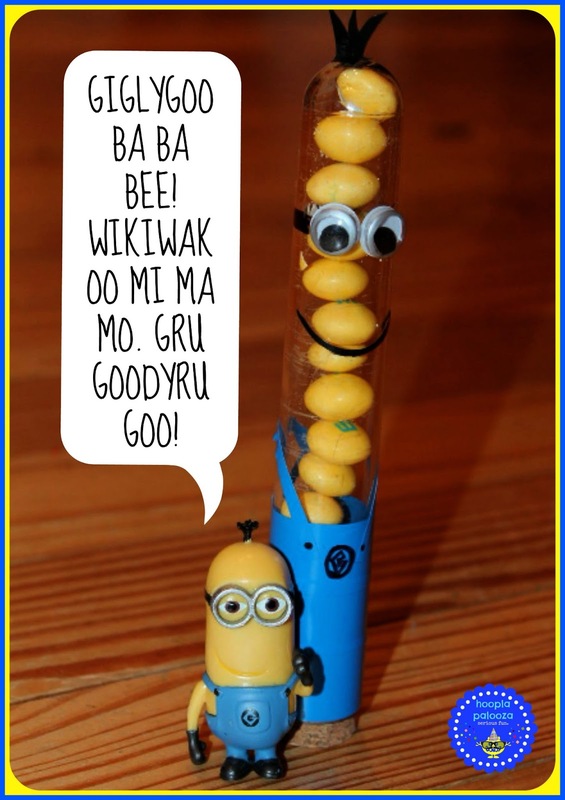 i couldn't resist doing something to honor minions. Oh, those are just so cute! Another awesome party favor! ok the cutest thing I've seen in awhile!!! love it! These are super fun. 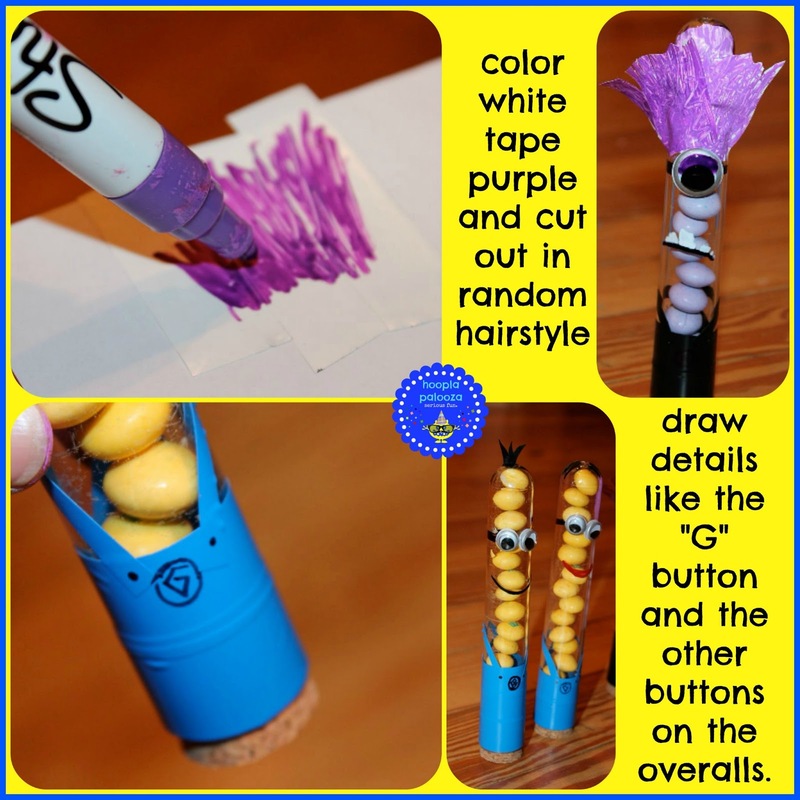 Oh my son just loves minions - I wish we were having a Despicable Me party so I could make these up as favors. These are just too cute! 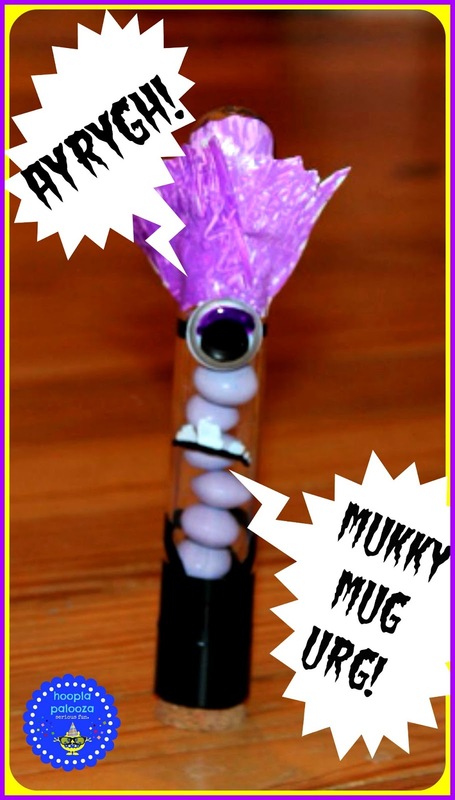 So creative and I'm sure a hit with the kids! Thanks for sharing! I came over to visit you from the Submarine Sunday Party! 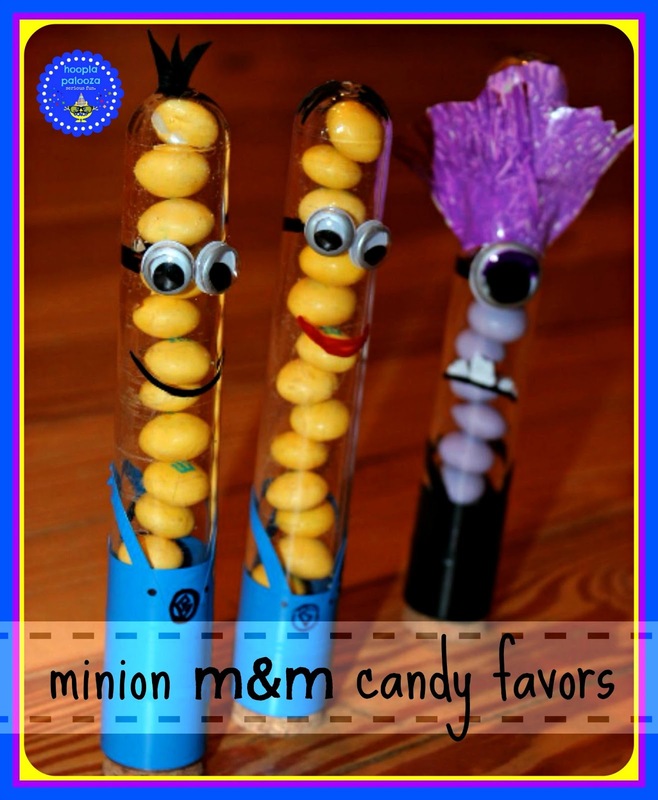 How adorable are your minion M&M party favors. Your tutorial is great and the kids will just love these I'm sure. Thank you for sharing with the Clever Chicks Blog Hop this week; I hope you’ll join us again! Cuteness! I love your attention to detail! Thanks for sharing at Party In Polka Dots!! Just watched the movie last night, these are DARLING! 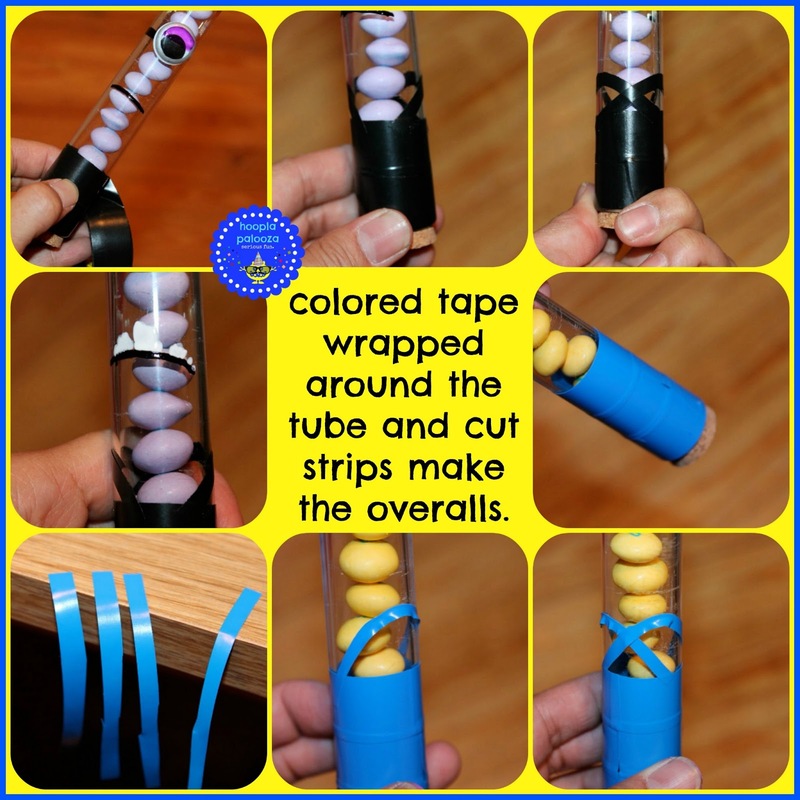 Such a great idea, my 10 year old would love them!